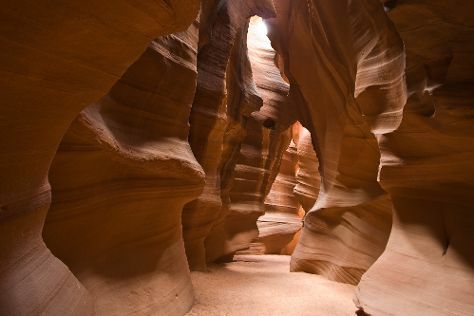 Kick off your visit on the 5th (Wed): explore the stunning scenery at Antelope Canyon. To find more things to do, ratings, and other tourist information, read Page trip itinerary maker website . Washington DC to Page is an approximately 9.5-hour flight. You can also do a combination of train and flight; or drive. The time zone difference when traveling from Washington DC to Page is minus 2 hours. Expect somewhat warmer weather when traveling from Washington DC in June: highs in Page hover around 96°F, while lows dip to 69°F. Cap off your sightseeing on the 6th (Thu) early enough to go by car to Grand Canyon National Park. On the 8th (Sat), hike the day away at Bright Angel Trail. The adventure continues: take in breathtaking views at Grand Canyon South Rim, get great views at Pipe Creek Vista, get curious at Yavapai Geology Museum, and tour the pleasant surroundings at Rim Trail. To find other places to visit, traveler tips, reviews, and tourist information, read our Grand Canyon National Park tour itinerary planner. Drive from Page to Grand Canyon National Park in 2.5 hours. Traveling from Page in June, expect nights in Grand Canyon National Park to be much colder, around 42°F, while days are a bit cooler, around 85°F. Finish up your sightseeing early on the 9th (Sun) so you can go by car to Phoenix. Phoenix is the capital and most populous city of the U.S. For where to stay, photos, and other tourist information, refer to the Phoenix trip planner . Drive from Grand Canyon National Park to Phoenix in 4 hours. Prepare for warmer weather when traveling from Grand Canyon National Park in June: high temperatures in Phoenix hover around 107°F and lows are around 81°F. Wrap up your sightseeing by early afternoon on the 10th (Mon) to allow time for travel back home.